Marcus Aurelius Antoninus Augustus was Emperor of Rome from 161 to 180. He ruled with Lucius Verus as co-emperor from 161 until Verus' death in 169. Marcus Aurelius was the last of the so-called Five Good Emperors. He was a practitioner of Stoicism, and his untitled writing, commonly known as Meditations, is a significant source of the modern understanding of ancient Stoic philosophy. During his reign, the Roman Empire defeated a revitalized Parthian Empire in the East. In central Europe, Aurelius fought the Marcomanni, Quadi, and Sarmatians with success during the Marcomannic Wars, although the threat of the Germanic peoples began to represent a troubling reality for the Empire. 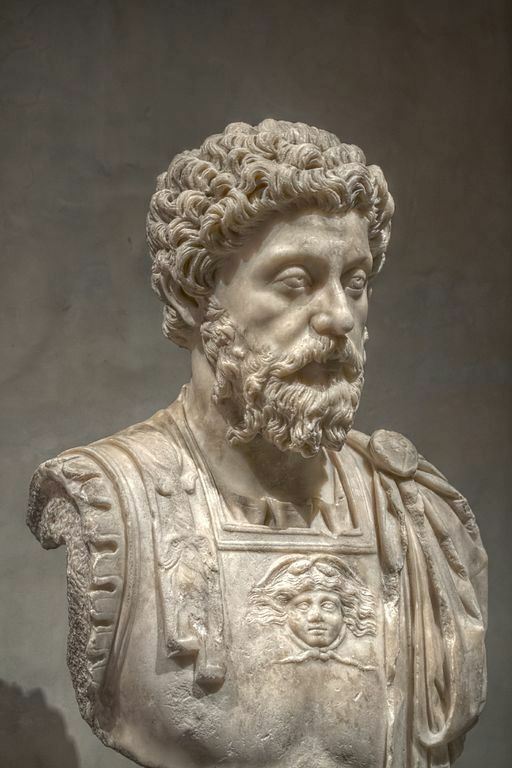 Marcus Aurelius fell ill and died on 17 March 180, in the city of Vindobona. He was immediately deified and his ashes were returned to Rome.